i’m going to see the Raincoats play in san francisco tomorrow night. 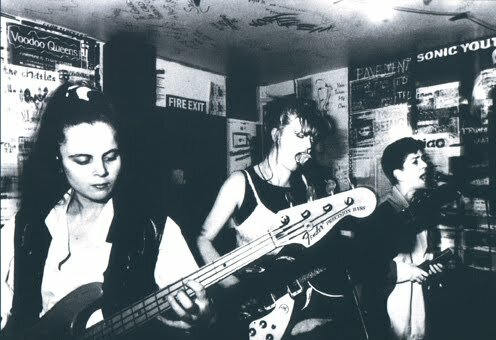 the Raincoats were an all girl post-punk band on the Rough Trade label in the late 70′s and early 80′s. one of my best friends i haven’t seen in years is coming to the show as well as friends i’ve known since college living in SF. the Raincoats music is emotional and earthy but with the drive of late 70′s punk. i don’t go to shows very often anymore, with kids and being out in this small country village essentially. i’m totally looking forward to this though. mostly as i know my old mates are going to be there and the music will probably make me well up with nostalgia and i’ll end up having a good cry in the hotel room the next day thinking about days gone by.